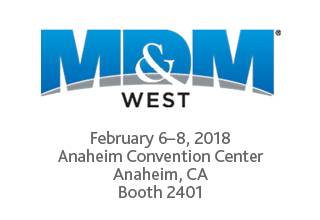 Join Us at MD&M West 2018! 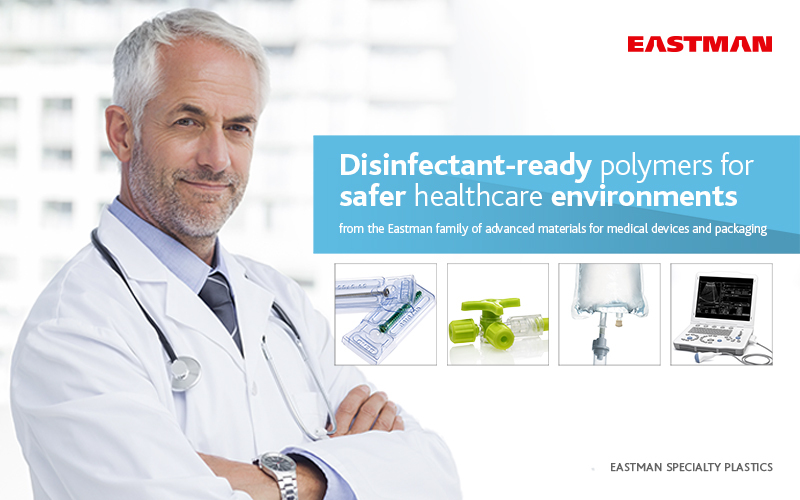 Eastman will be exhibiting at Medical Design & Manufacturing West 2018 February 6-8, 2018 in booth 2401. Stop by our booth to meet with members of our Medical Devices team, including Ellen Turner, MBA, global market development manager, and Thomas Meehan, specialty plastics technical support. Speak with Dr. Yubiao Liu, Eastman’s lead medical application development scientist, and learn how the 4-step test for chemical compatibility is gaining popularity in the industry. And on Feb. 6, biomedical engineer from UCSF Richard Fechter will be on hand to discuss manufacturability, cleanability, and serviceability of plastics in healthcare. To hear more from Richard, register for our Lunch and Learn event on Feb. 6. You can also sign up for an in-person meeting with one of our Medical Devices team members to get one-on-one guidance. Eastman is excited to be exhibiting at Medical Design & Manufacturing West 2018 February 6-8, 2018. Stop by our booth to meet with members of our Medical Devices team, including Ellen Turner, MBA, global market development manager, and Thomas Meehan, specialty plastics technical support. Speak with Dr. Yubiao Liu, Eastman’s lead medical application development scientist, and learn how the 4-step test for chemical compatibility is gaining popularity in the industry. And on February 6, UCSF Medical Center biomedical engineer Richard Fechter will be on hand to discuss manufacturability, cleanability, and serviceability of plastics in healthcare. Eastman MXF221 copolyester, available as a clear-natural or opaque-colored polymer, provides excellent chemical resistance and durability and is uniquely suited for electronic medical device housings. Not only is it extremely tough and able to stand up to the daily stresses of hospital environments, but it’s also compatible with branding initiatives. Brand owners who use opaque polymers often require precise color matching and vibrant aesthetics to maintain their brand identities. Eastman MXF221 copolyester comes in a wide array of colors with the ability to align seamlessly with any brand standards. Eastman Color Technology Center’s color matching service is tailored to meet your specific requirements. Our specialists understand that there is no universal answer to your color and additive needs and that not all blends work well with all materials. 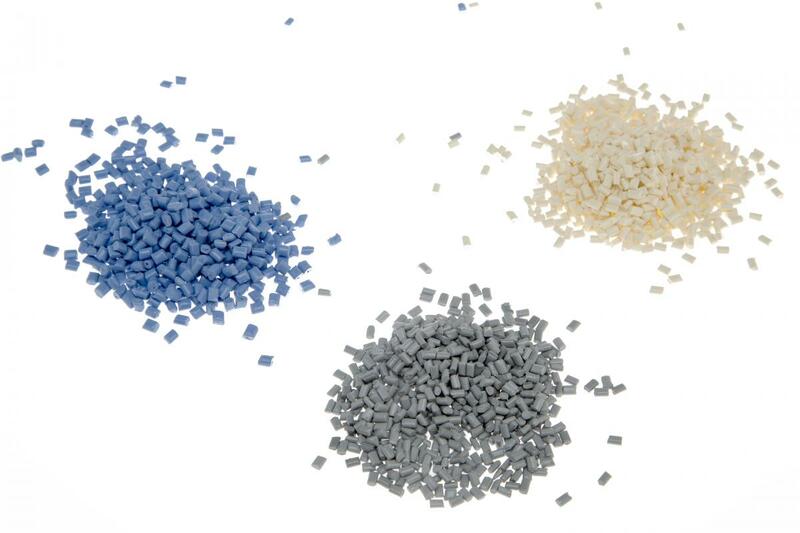 We’re able to mix colors and additives with cellulosics, copolyesters, and polyester alloys and have decades of experience producing color concentrates and additives for the polyester and copolyester markets. By selecting the right color blend for MXF221, Eastman's Color Technology Center will work to ensure your application is successful. Learn more about our color capabilities here. On September 19, participants and vendors gathered in East Providence, Rhode Island, for Tritan on Tour: an exclusive event hosted by Eastman and NN, Inc. showcasing how new materials and manufacturing processes can improve medical device performance. Representatives from Henkel, PolyOne, Dukane, Manta, Goddard, and Ensinger were on hand to share the latest advancements in medical injection molding applications. Attendees learned how to select the best materials and streamline the manufacturing process, and strengthen the future of health care. They also got the opportunity to network with manufacturers, design engineers, and distributors, and discuss solutions for working with Eastman Tritan™ copolyester.